Many Nashvillians experience year around horrible allergy/sinus congestion problems. I will readily admit that I am one of those allergy sufferers. It seems that Nashville is just one of those cities that’s prone to have allergy issues due to several factors: allergens, due to the geography of sitting in a “bowl” of sorts, surrounded with high hills. Also the heat, humidity and ragweed only aggravate the problems even more. It all adds up to a life of on-going allergies and sinus infections. Over the counter medications were helpful but I was looking for something that could alleviate not only my allergy symptoms, but address the root cause of it. Neti pots are ok but still didn’t resolve my problem. After using the product just a couple of times in one day, I could see and feel positive results. I could actually breathe naturally through my nose without so much congestion! As I continue to use it, I’m looking forward to eventually be free of all sinus problems. 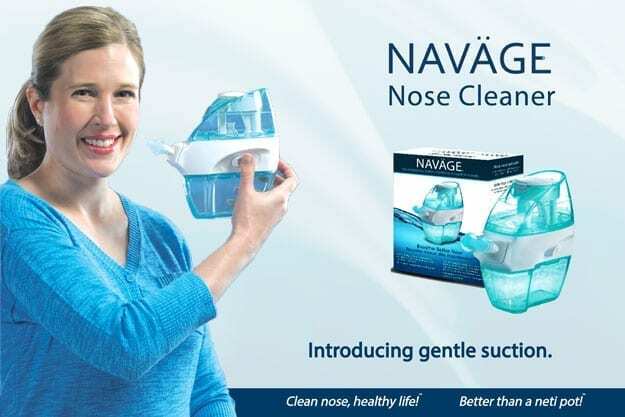 So what makes Navage different from a neti pot? Let’s face it, neti pots are very messy because the procedure is to pour saline water into one nostril, as it flows out the other one. With Navage, the saline solution is pulled through the nasal cavity by applying a gentle suction method, instead of being pushed the way neti pots are done. As a veteran allergy/sinus patient, I’m casting my vote for Navage Hygiene System. Over the years I’ve used countless numbers of sinus products that I haven’t been too impressed with. But I’m happy to say that Navage is at the top of my list for “must-use” product if you have sinus/allergy problems. The Navage Hygiene System is available at the usual places— Amazon and others but you can also get more information about the product at their website: www.navage.com or call 800.931.7828. The website has helpful information about the product, a video on how it works, lots of testimonials from actual customers like me and other details.